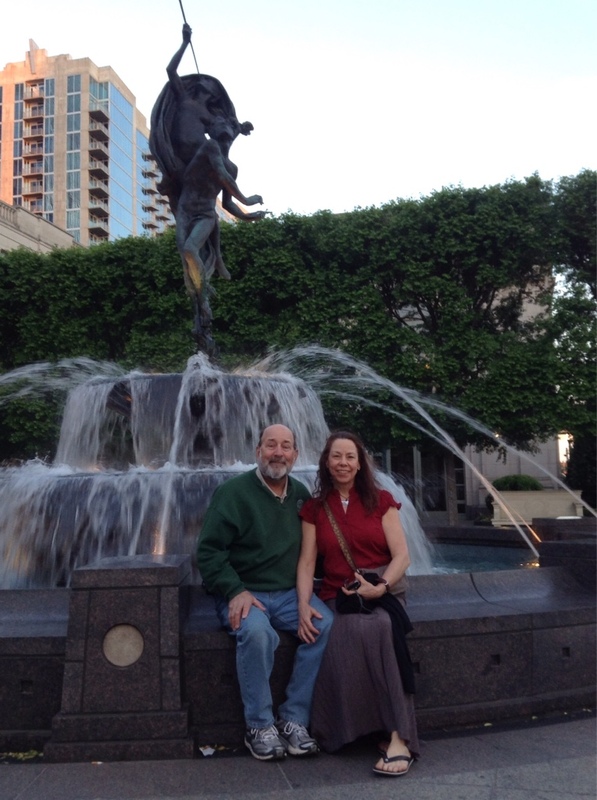 Mom and Dad visit Music City! Hooray! 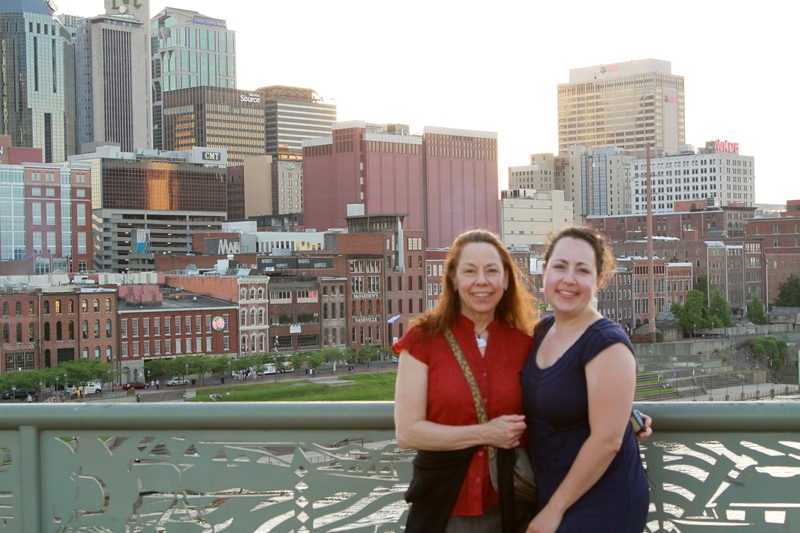 After a month of getting used to this new place, I was ready to show off Nashville to my parents! They drove down 9 hours from Michigan on the first Friday in May. The weekend was packed with eating, and exploring. Here are the highlights! The next morning we head out for a busy day of exploring the city. 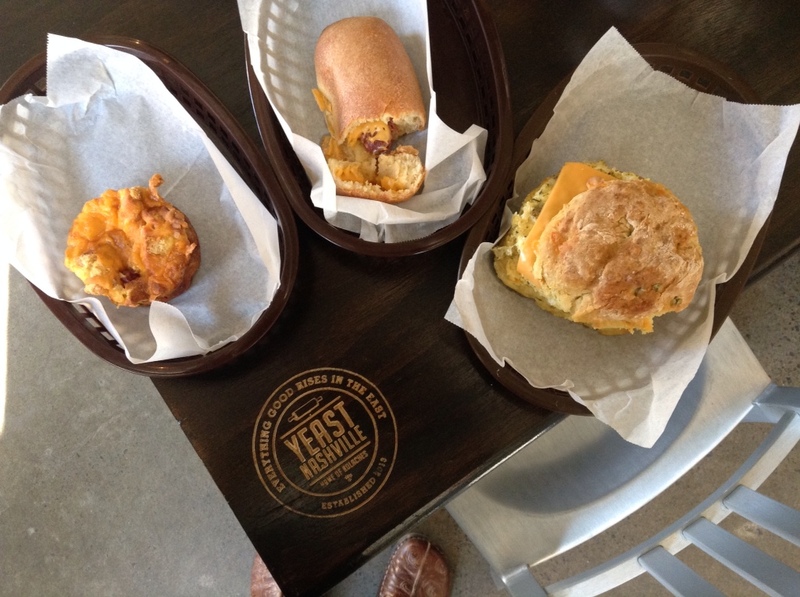 At Yeast Nashville my biscuit breakfast sandwich was tasty and large. Then, we went to check out the downtown Farm Market. 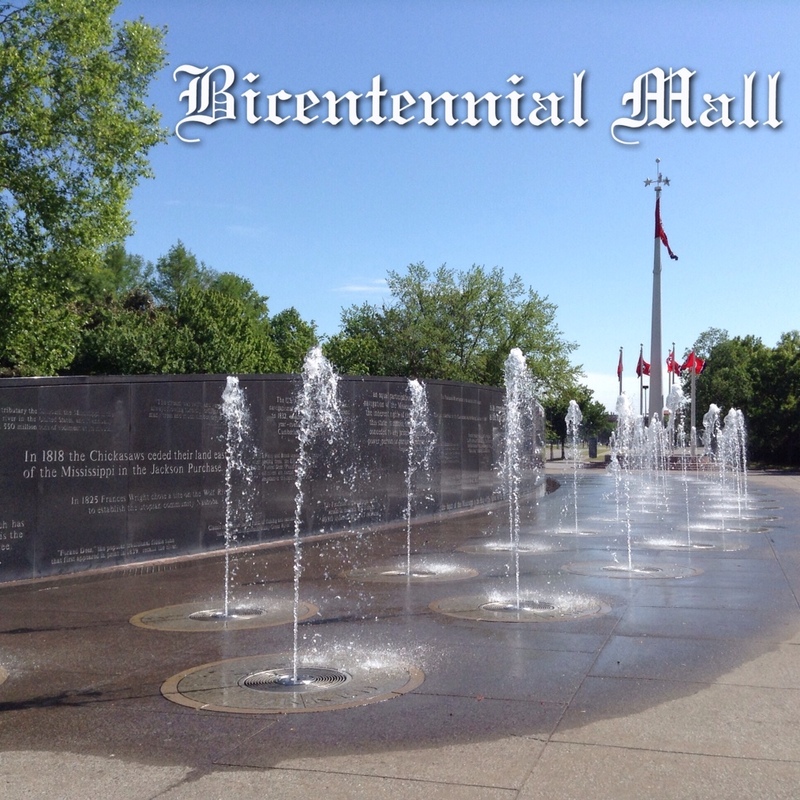 It was right next to the Bicentennial Mall; at one end is the capital and it’s made to mimic the National Mall in DC. There were towers with bells at the other end, quite the carillon! 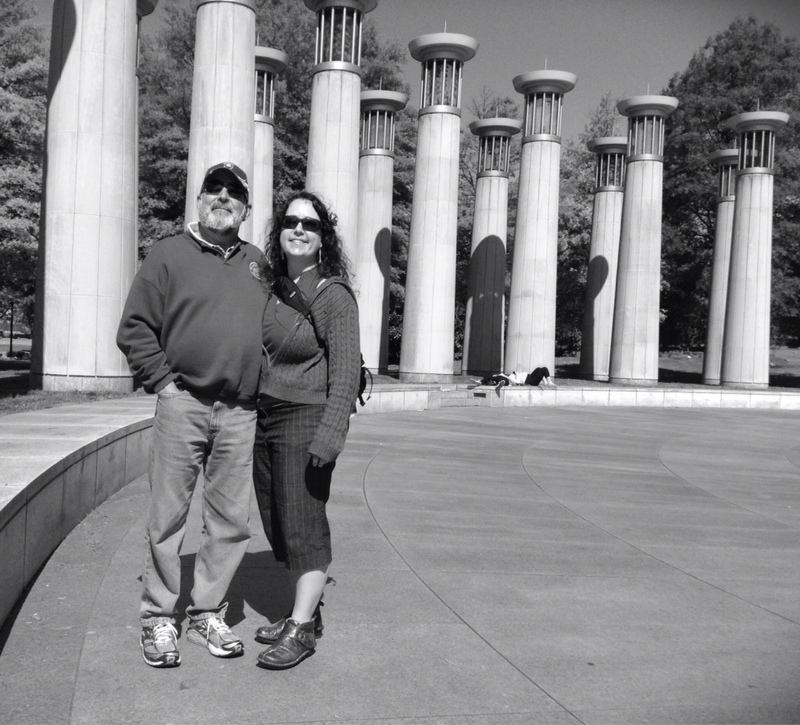 After we were done learning about Tennessee’s history (16th state in the Union!) and headed down to see Warner Park, where I’ll be holding camp this summer! 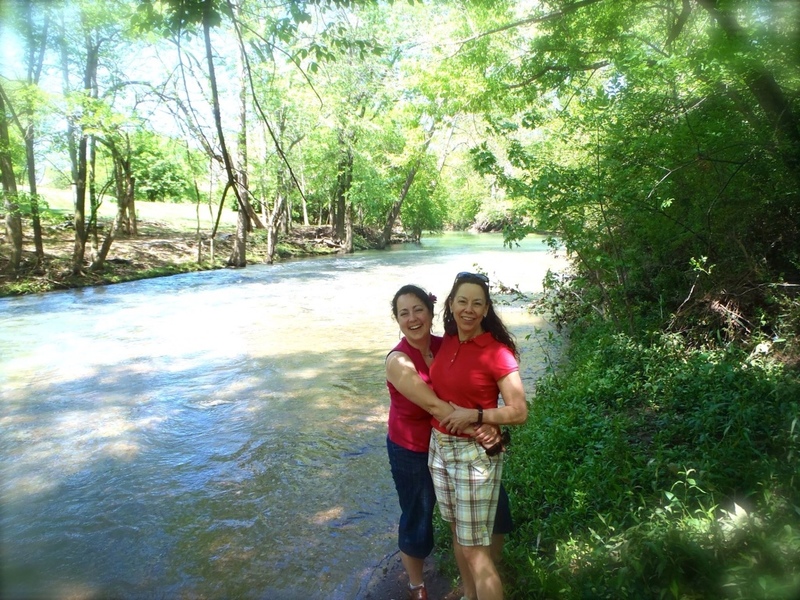 Mom and I, enjoying the Little Harpeth River. 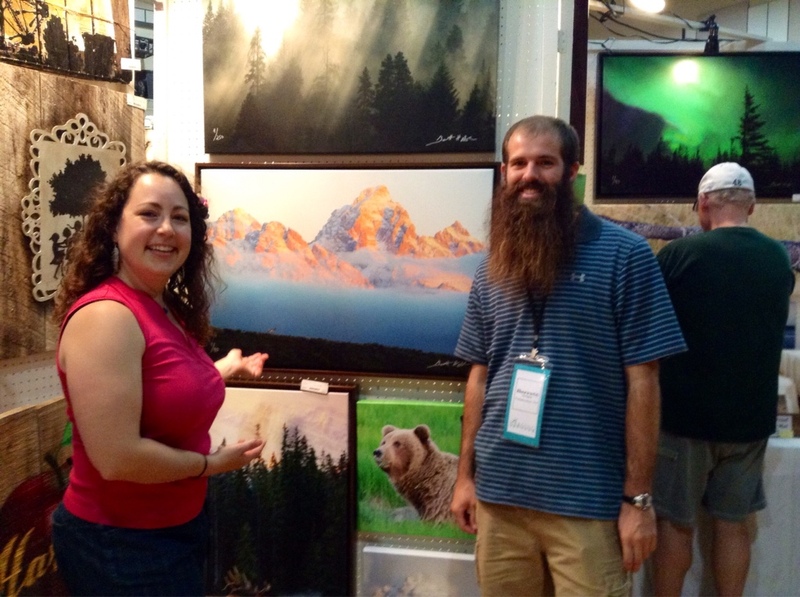 We had a lovely little wander, then headed to Harding Academy to meet Jessie & Ron’s friend Barrett at the art show. Barrett spends a LOT of time outdoors, waiting for wildlife to photograph. He captures some really stunning photos and even won a National Geographic contest for this photo of a Grizzly, charging after salmon in a stream. 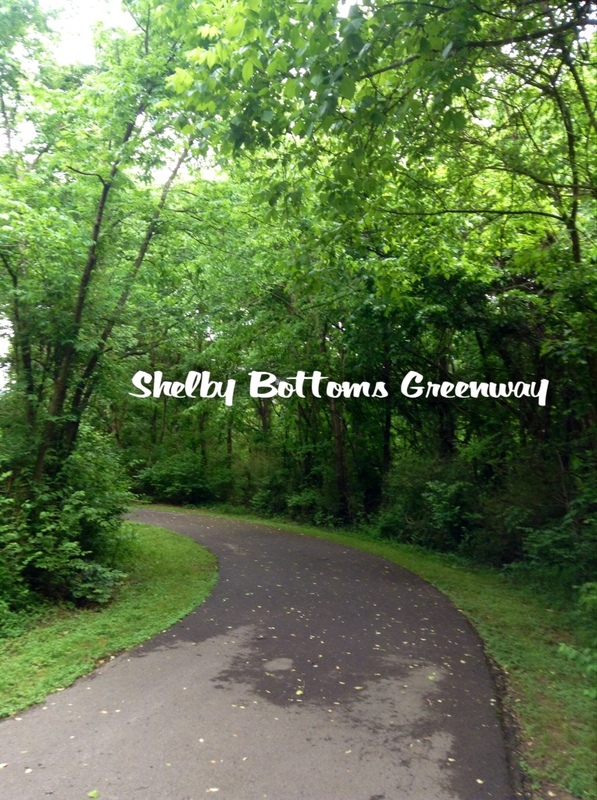 Dad was feeling nappish after that, so Mom & I dropped him off at home and went to split a salad at Calypso Cafe and take a brisk walk in Shelby Bottoms Park, my favorite spot to run with the Indigo Buntings. Hours later, we roust Dad and head to 5 Points Pizza to grab a few slices to go. Dad gets pepperoni and we get prosciutto and basil. YUM!!! 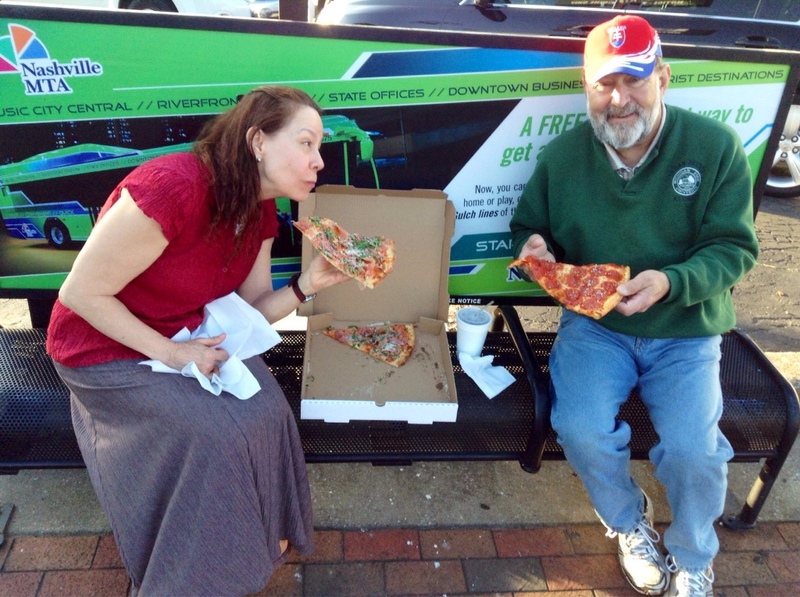 We eat it on a bus stop bench and head off to explore downtown Nashville. 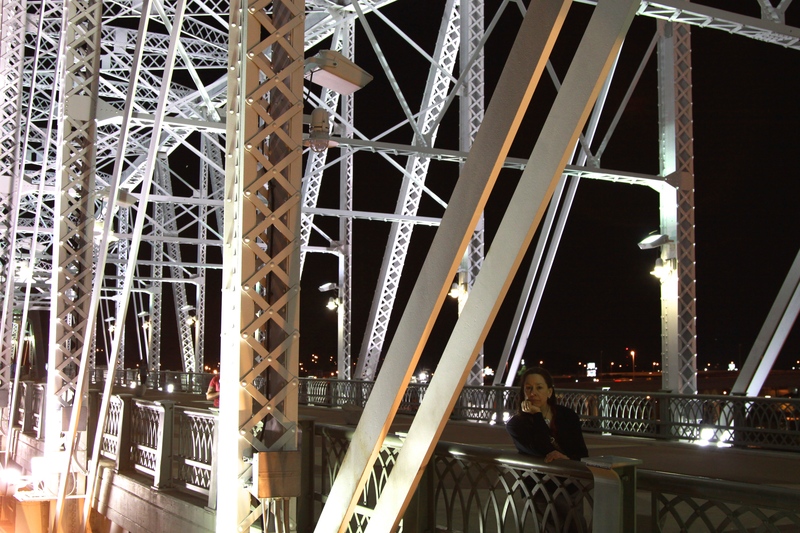 We park on the north side of the river and take the pedestrian bridge across because it has the best views. 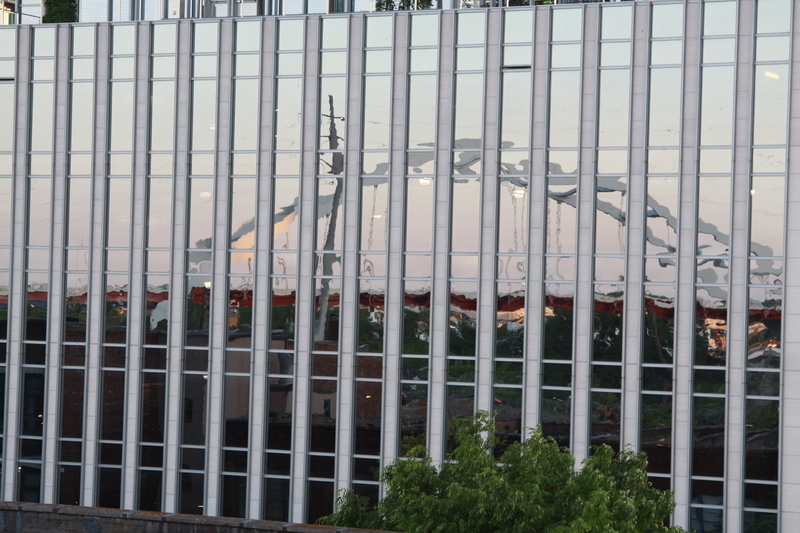 This is Dad’s cool abstract-reflection-of-the-bridge photo. There were about 9 different groups of red-carpet-ready teens getting their prom photos on the bridge. Here’s the prom pix of Mom and Me! 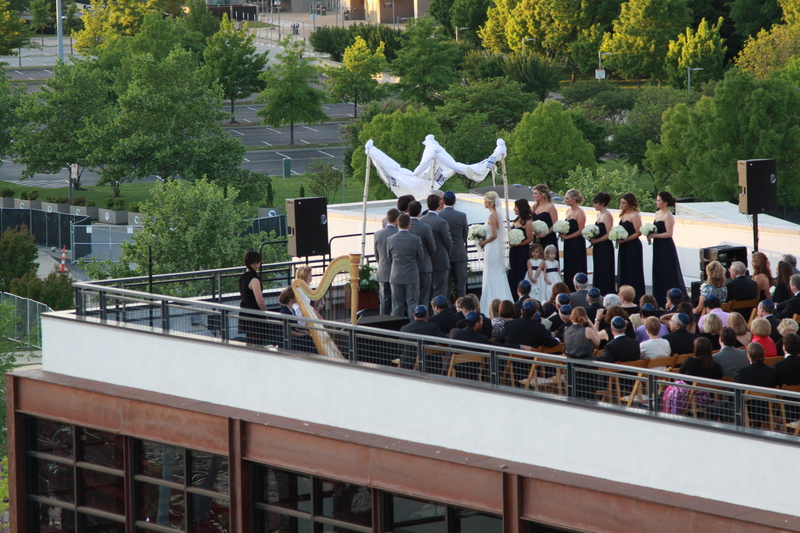 Dad found a rooftop wedding to photograph. 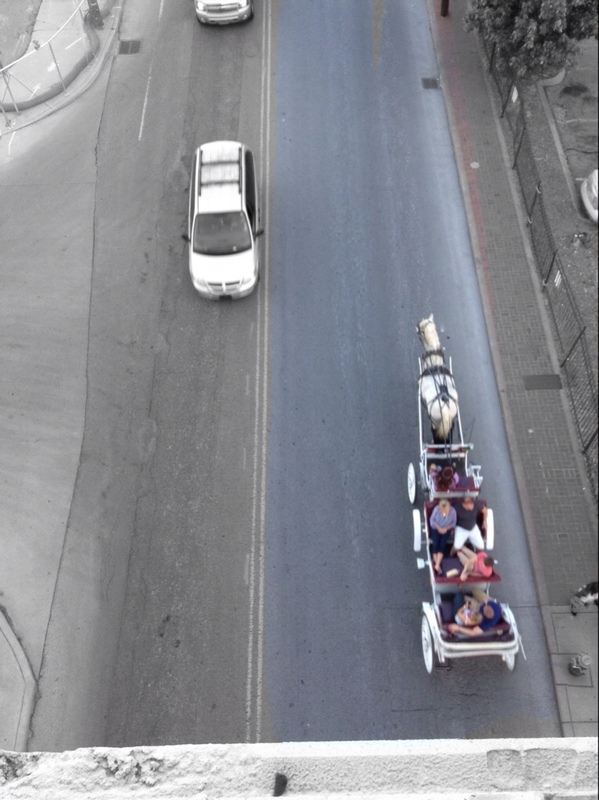 I spotted a horse-drawn carriage! Finally, across the Cumberland River and into town! We stop to admire the fountains. 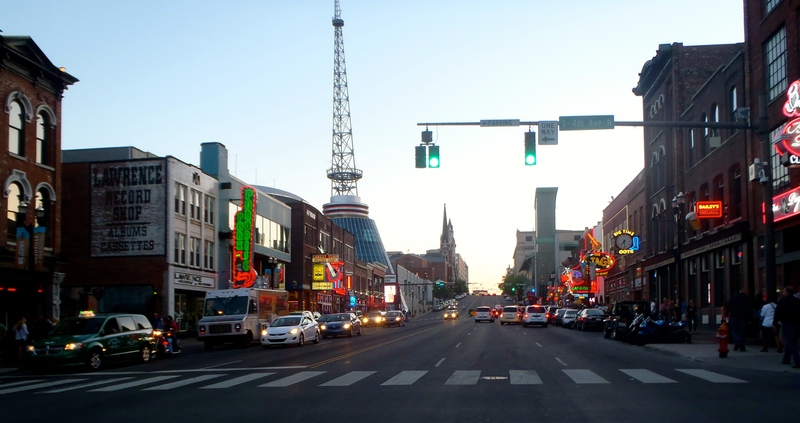 And explore Broadway- with all the Honky Tonk bars. But of course, we’re only there for ice cream. After grabbing ice cream, staring at all the gaggles of ladies in cowboy hats and walking past the buskers – we got sleepy and hiked back over the bridge. So, we went to church at the cute little Episcopal church in my neighborhood, then met up with Laura and Won at the Gerst Haus for lunch. Oops, no photos. 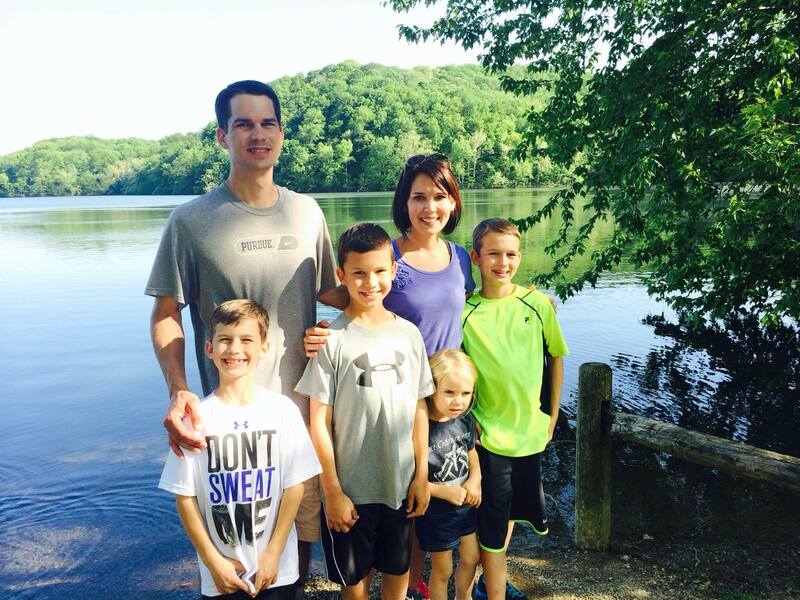 Then, we went to meet the cousins, Rachelle and Steve Sipkovsky at Radnor Lake! 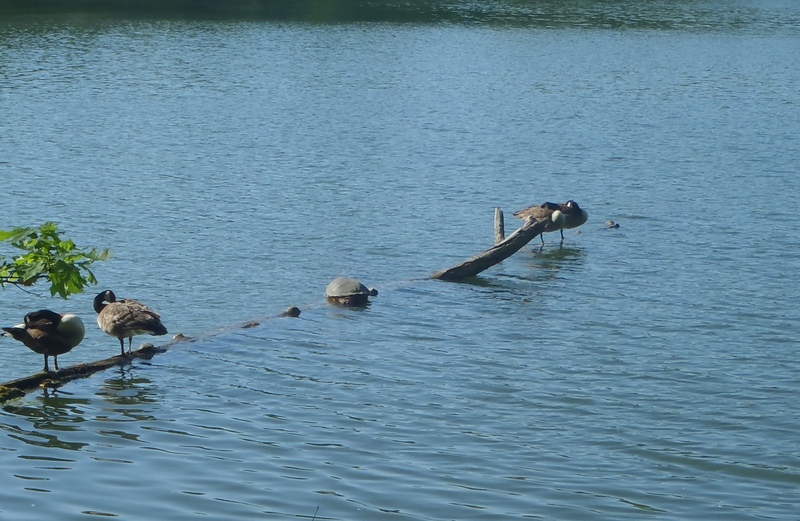 We hiked around the lake, spotting big turtles with Brayden, Bryce, Brenden and Ellie. 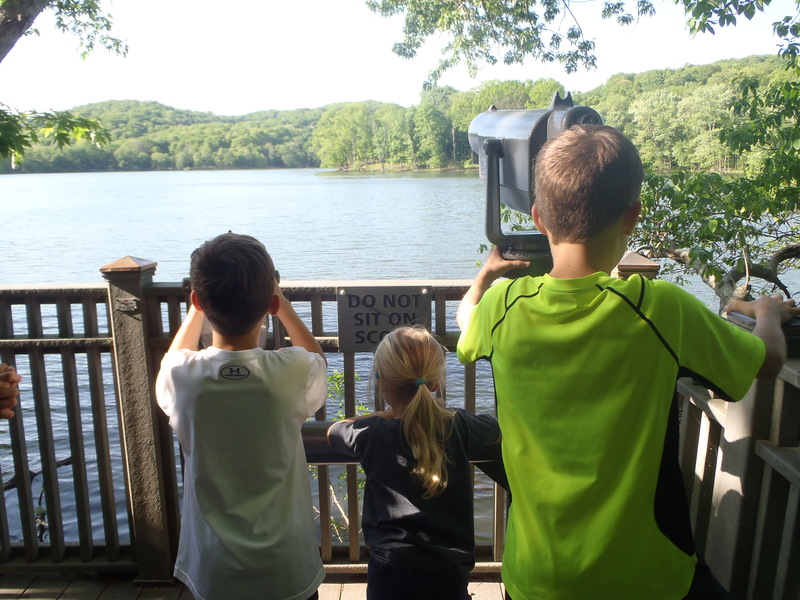 We were careful to follow ALL the POSTED RULES… no running on the trails, no dogs, do not sit on the scopes. Lots of rules. It was a lovely little gem of a lake – nothing remarkable by Michigan standards, but since there aren’t any natural lakes around here, it’s pretty unique. 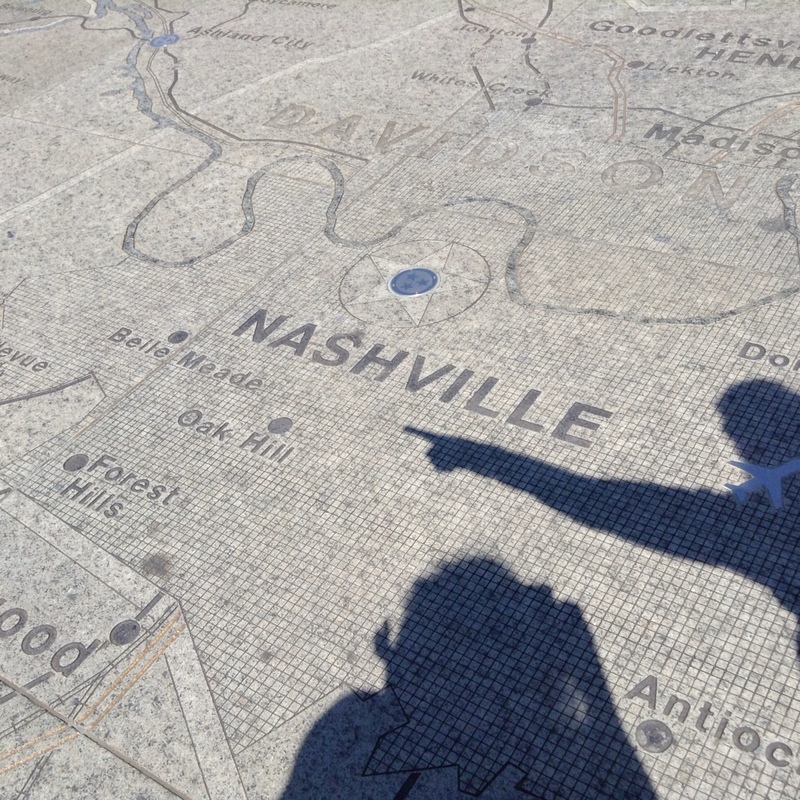 In fact, this lake was created to supply steam engines with water as they passed through Nashville, an overland transportation hub. 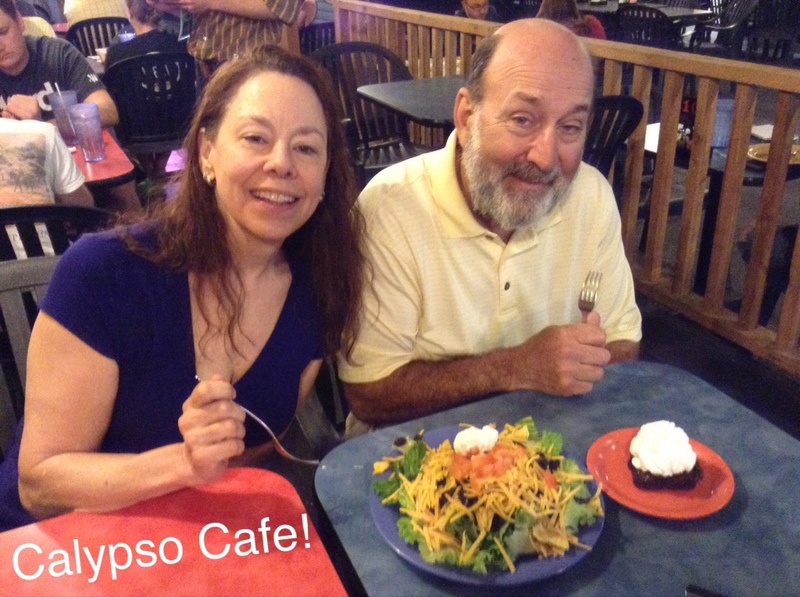 We hiked until 5pm, then Mom and I were hungry, so we headed to Calypso Cafe! Mom and I got salads (again! SO good!) and dad? Well, he got a warm mint brownie with whipped cream. He loved it. We were tuckered out and headed home, where we spent 45 minutes watching YouTube videos like this one about the “Flippy, floppy spider of the Sea” (aka. Octopus). Do yourself a favor and watch it. Mom and Dad head out early, and stop by Louisville to see Father Roger and Andrew. They got home pretty late, but it was worth it! They’re making plans to come back for another visit this summer when we go to Mammoth Caves! BYE MOM! BYE DAD! I LOVE YOU!!! 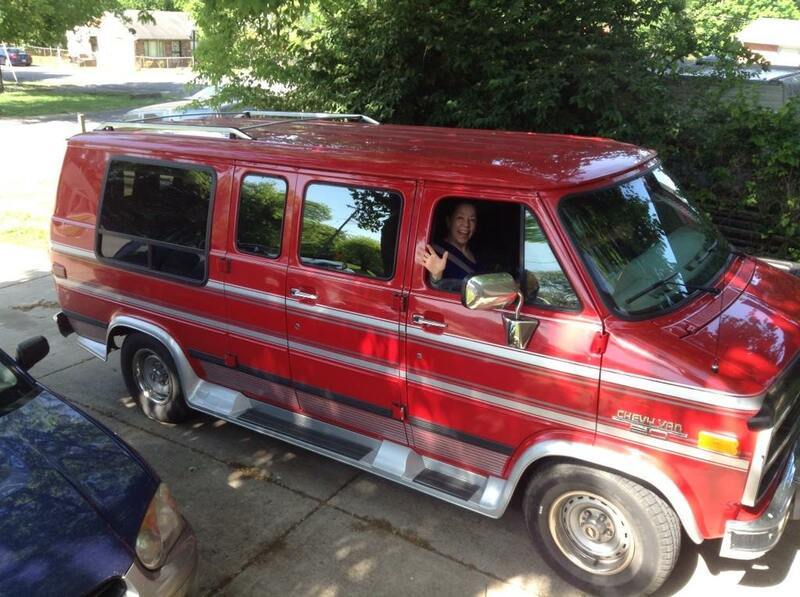 Previous Article Moving to Nashville is like going to college.